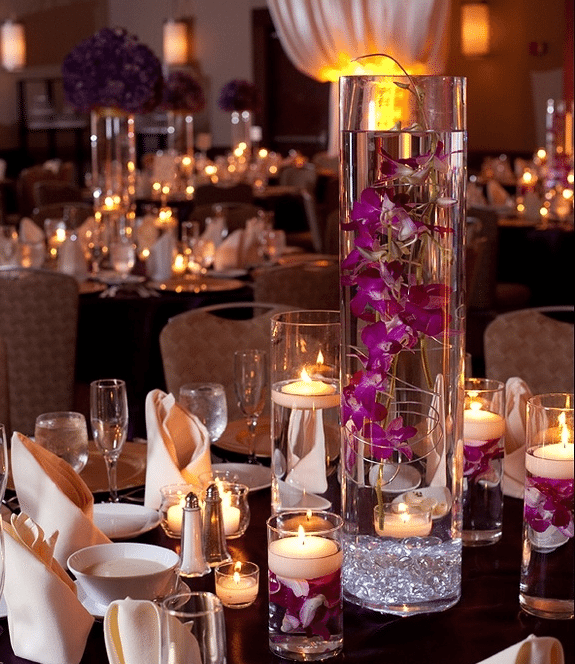 12″ Tall Cylinder Centerpiece with crystals, Dendrobium Orchid & Floating Candle up top. Other flowers are additional charge. Centerpiece can be customized to your liking. 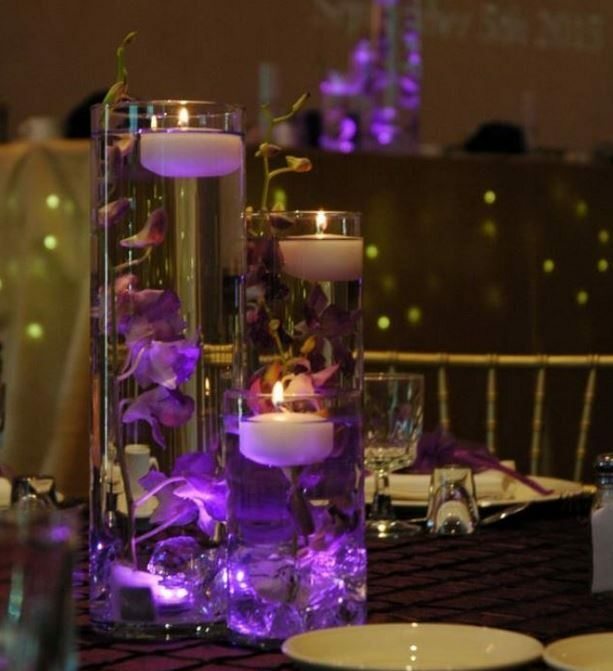 Cylinders Set made with 3 cylinders in variety of sizes, with Dendrobium Orchids, crystals and floating candles. Centerpiece can be customized to your liking. 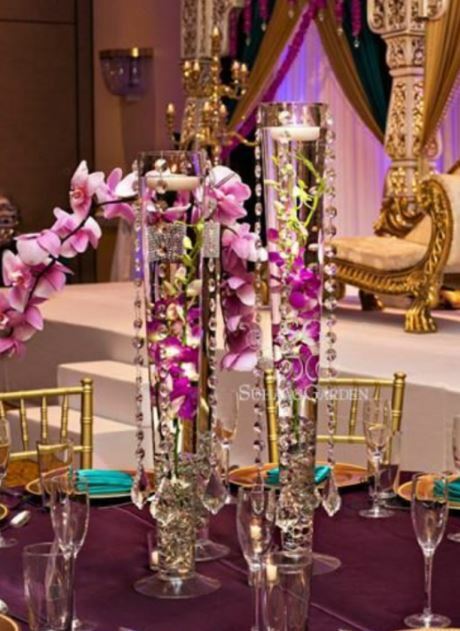 Cylinders Set made with 5 cylinders in variety of sizes, with Dendrobium Orchids, crystals and floating candles. Centerpiece can be customized to your liking. 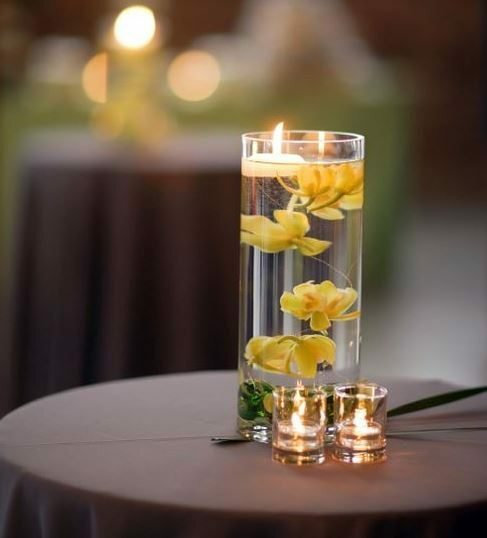 Pilsne Vase Set made with 3 vases in variety of sizes, with Dendrobium Orchids, crystals and floating candles. Centerpiece can be customized to your liking. Place Card Setting includes varies sizes of cylinders and candle holders. 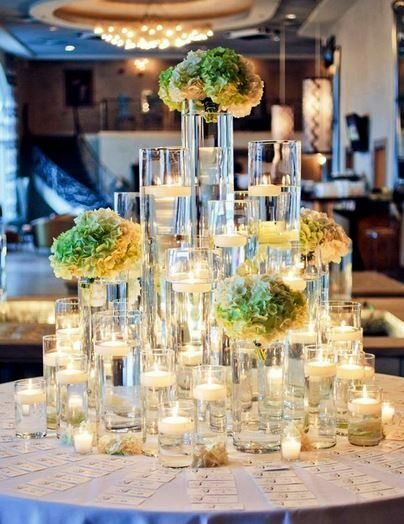 Includes floating candles and 5 Hydrangea arrangements.